Xi Xi, the pseudonym of Zhang Yan, is probably the most famous writer in Hong Kong. Important and very varied works, with a limited number of translations in the West. She has just won the Newman Prize, awarded every two years by an international jury around the University of Oklahoma; only one condition, to write in Chinese. 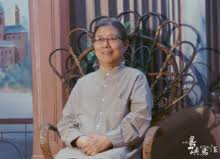 She is in good company with Mo Yan, Han Shaogong and the Taiwanese poet Yang Mu; two women, Wang Anyi and Chu Tien-wen; she is Hong Kong’s first winner. Xi Xi shows a wide range of talents: 7 novels, 21 short stories, television plays, two collections of poems and above all numerous articles of film and literary criticism; translations (she speaks six languages) and the development of magazines and of a publishing house. Born in Shanghai in 1938, her family emigrated to Hong Kong in 1950; her father was a ticket checker in Kowloon but above all a coach of a football team and later a referee; a passion for football that she shares with her four brothers and sisters. After studying at the Institute of Education, she became a teacher in 1957 and after twenty years was given the opportunity to take early retirement. She published poems and short stories from 1965 and her famous novel “My City, a Hong Kong story” in 1975 (1). With friends, she created the magazine “Plain Leaves” which became a publishing house. She was famous in 1983 when her short story “A Girl Like Me” was awarded the United Daily Award in Taiwan. Other collections of short stories were published in 1986 and then translated (2 and 3). In 1989, she suffered from breast cancer that handicapped her for several years. An autobiographical novel (currently being translated by Jennifer Feeley) that was used as a script by a film with a questionable title, “Two becomes One”. In 2000, a second collection of poems was published, some of which were translated into English (4). About twenty short stories are translated, some of them are part of the texts taught at school. The most famous text, “A woman like me” (2C), deserves its fame: the narrator promised Xia, her lover, to take him to visit her professional make-up shop. 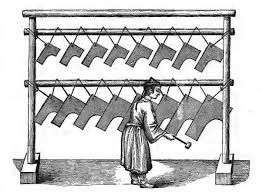 However, her work has nothing to do with brides and she has to wear perfume to get rid of the smell of antiseptic from her body. Her aunt’s only wish is that she be her last make-up artist… But her job has already scared away men…”. “A woman like me is actually unsuitable for any man’s love. I think that I myself am to blame for all that has happened ” (p.325). Other short stories use surrealism or magic realism: a short text “The Drawer” (2B and 5). “I was wondering where my place was in the vastness of the universe. But little by little, very, very, very gradually, I understood. In this drawer that I open several times a day, I have finally discovered the truth; it is there that my place has always been, at the bottom of my own drawer and the certainty of having a refuge in this world, fills me with happiness” (p. 179). “The History of the Fertile Village” (3B) is a long story, a tale that tells us how Hong Kong developed from a village. 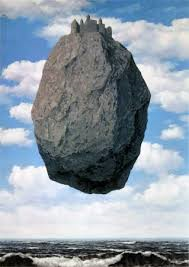 “Floating Town”, “Flying Town” refers to the city, under the influence of a painting by René Magritte. Development went too fast and the land proved too fertile; the village became a virgin forest, “no city can be forever prosperous, nor can any fall into lasting decline” (p.93); premonitory? The style of Xi Xi Xi has been praised, in my opinion a little too much (6). It has been described as “fairy tale realism”, “it only applies to some of my novels and stories and they are not written with children or young people in mind”, but she thinks that “fairy tales are the science fiction of the past”. She has recently written science fiction texts. Like Gao Xingjian, she is wary of all “isms”; she does not claim to be a feminist (6): “I am only looking at women from my own viewpoint…Women have been exploited…Women are always put in a separate mould”; “historically, marriage has been among the biggest culprits”. Vietnamese refugees in Hong Kong are the subject of “The Tiger Cage” (3B). We have forgotten the importance of the influx, from 1970 onwards, of these refugees to Hong Kong, which separates those who are granted political refugee status from the boat people who are economic migrants. Xi Xi tells us about the Kai Tak camp, the refugees and the attitude of Western countries towards 200,000 people. The camps disappeared before the return to China in 1997. There are many historical references in her novel “My City“. A novel about the young generation, its life, its expectations. The characters are Fruits, his sister Braids and their friends, Merry Mak, North and Swim. We are told about the past and present, their professional development; Fruits is in charge of phone maintenance with Merry Mak. A synthetic impression of a writer on Hong Kong without much detail on the neighbourhoods. The novel was a success, but we can regret the lack of dramatic progression and especially the rather transparent characters who often do not really exist. One people’s reborn nation is another people’s ruin”. They’re really nothing more than a few fragments of stone. 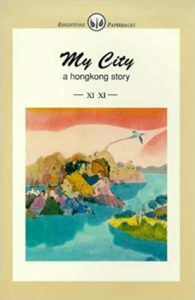 (1) Xi Xi, « My City, a Hong Kong story”, translated by Eva Hung; Renditions Paperback, Hong Kong 1993, 180 pages. (2) A -Xi Xi, « Une fille comme moi », recueil de onze nouvelles , traduit par Véronique Woillez. Editions de l’Aube, 1997, 127 pages. 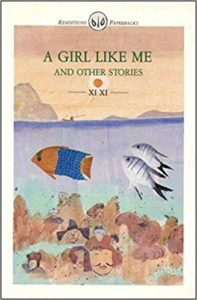 (2) B- Xi Xi, « A girl like me and other stories”, translated by Stephen C. Soong. (2) C- Xi Xi, “A woman like me”, translated by Howard Goldblatt, in The Columbia Anthology of Modern Chinese Literature. 1995, 720 pages. (3) A- Xi Xi, “Marvels of a floating city and other stories”, translated by Eva Hung. Chinese University of Hong Kong, 1997. (3) B- Xi Xi, “Au fil de la vie », traduit par Véronique Jacquet-Woillez. Bleu de Chine, 2006, 115 pages. 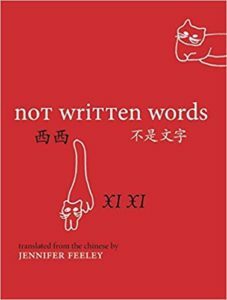 (4) Xi Xi, « Not written Words”, translated by Jennifer Feeley. Zephyr Press, 2016, bilingual, 150 pages. (5) Xi Xi, “The Drawer”, in “A Place of one’s own”, Oxford University Press, 1999, page 179. (6) “A rare conversation with the cult Chinese writer Xi Xi”, interview by Megan Walsh. Literary Hubs; 3/5/2018.